A Complete , Easy to Understand Report. My reports are organized in an easy to follow format. They're broken down into logical sections that show you the condition of each area of your home and property. 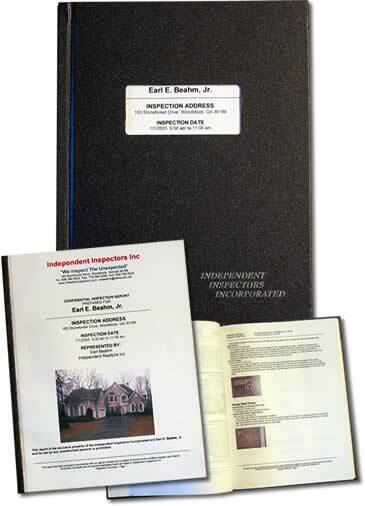 I provide plenty of notes so you'll be able to remember the details long after the inspection is over. In the front, you'll find a summary that lists Overall Condition, Items Not Operating, Major Concerns, Potential Safety Hazards, Deferred Cost Items, and Utility Shut-Off Locations. It's an easy to follow quick reference. Digital Photos and Illustrations Add to Your Understanding. I place them right in the report. Whenever I encounter an item that needs attention, I'll take a digital photo to illustrate exactly what the text is referring to. I also provide illustrations to clarify your understanding of particularly complicated items if they exist. The entire report is designed to inform you on the condition of all the systems and components of your property. Your Home Inspection will be an exhaustive examination that can take up to 4 hours to complete. But your report will boil it all down into a concise, readable format. A Document You'll Keep and Use. You're actually purchasing information and expertise from me. You should be able to reference that information at anytime and know it will be in good condition. Like the day you bought it. So I do it right. You'll be pleased to find the report filled with detail and professionalism and delighted to find it easy to follow and understand.